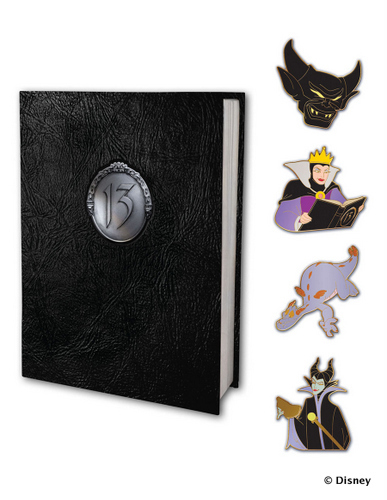 The premise of the event goes like this: There is an evil Queen and she's discovered a spell that, when performed on Friday the 13th, could bring together 13 of Disney's most evil villains, known collectively as "The 13." To cast the spell she needs a magic mirror to transport "The 13" to the present day. And she's doing this on Friday, September 13. Are you with us so far? Good. Because now imagine that the Queen succeeds in her evil plan, but "The 13" break the mirror and hide the 13 broken pieces, rendering it useless against evil. So, what is "good" to do in a situation like this? 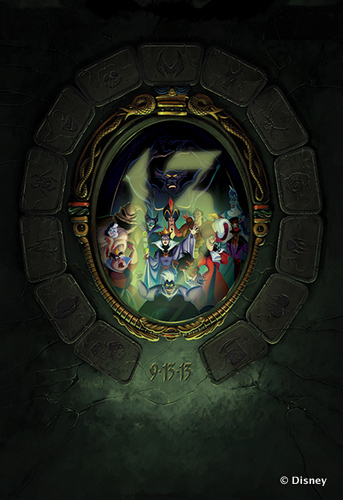 Find a purple dragon named Figment, of course, and team him with Mickey Mouse and five other friends to stop "The 13" by reassembling the broken mirror and sending the villains back to their evil place. And woven into this battle between good and evil is the two day Pin and Vinylmation trading events. Pin and Vinylmation trading each get their own dedicated day during this event, and separate packages are available. Both trading events include the chance to pre-purchase select themed merchandise designed specifically for the event. There will also be a silent auction, a meet and greet with Disney merchandisers, artists signing opportunities, and two dining events - a Perilous Pin Breakfast or a Villainous Vinylmation Breakfast. The merchandise attached to this "battle" between good and evil includes trading pins, including a mirror set that shows each villain with their alter ego and Vinylmations including Maleficent and a special two-pack Madame Mim set. There will also be event logo T-shirts, a baseball hat, D-Tech phone cases, and a "lucky" ear hat. Tickets for the event went on sale May 13 (of course) at the 13th hour (1 p.m. ET) at www.ArtofDisneyParks.com. Just a note that the hyper-link at the very end (www.ArtofDisneyParks.com) did not work for me - got a Page Not Found message.